I tweeted this photo as an example of the bias the traffic industry has had. 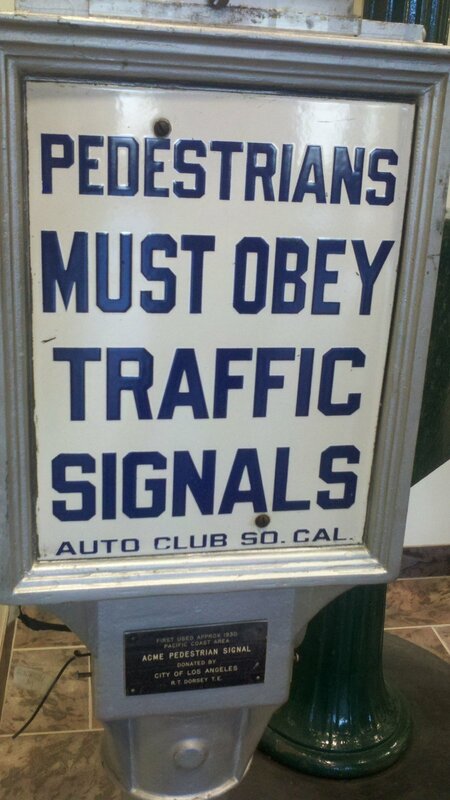 Interesting that the "Auto Club of South California" has their name on this sign that is part of the traffic signal. 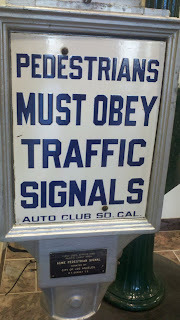 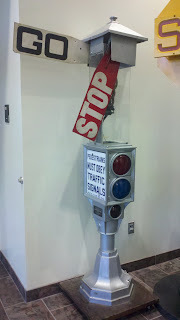 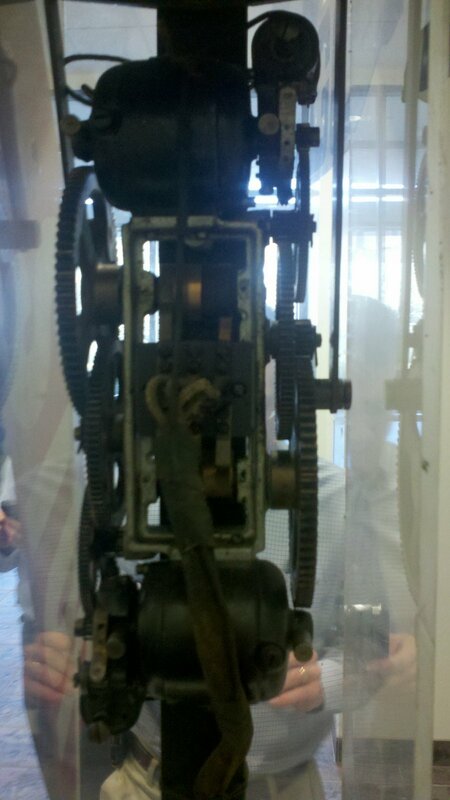 The traffic signal dates from some of the earliest on record (likely in the 1920s) and the LADOT website has a nice summary of some of the work that was done in L.A. along with some of their innovations, including the first pedestrian actuated signal (which increased delay for pedestrians).